Set during the Civil War at Nashvilles historic Belle Meade Plantation, Tamera Alexander portrays stories about enslavement and freedom, arrogance and humility, and the power of love to heal even the deepest of wounds. As Ridley Cooper seeks to make peace within himself for "betraying" the South he loved, Olivia Aberdeen is determined to never be betrayed again. To Whisper Her Name follows the journey of two wounded people and one fragile nation longing to find healing. A gifted rider in a world where ladies never race, Maggie Linden is determined that her horse will become a champion. 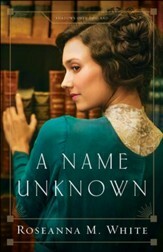 But the one man who could help heran Irishman far from home named Cullen McGrathhas vowed to stay away from thoroughbred racing for the rest of his life. In the new reality of the post-Civil War South a railroad man and a Southern Belle-turned teacher must find a way to work together to achieve their dreams. To Wager Her Heart is a sweeping Southern love story about a nation trying to heal and the courage of a man and woman to see themselves for who they truly areand can betogether. Extending her beloved series in this sweet novella, Tamera Alexander offers readers the story of well-known character Savannah Darby, who would do almost anything to revisit her family home. When the new owner, Aidan Bedford, decides to redecorate his new house for his fiance, Savannah jumps at the opportunity. 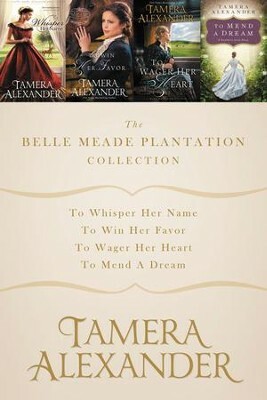 I'm the author/artist and I want to review The Belle Meade Plantation Collection: To Whisper Her Name, To Win Her Favor, To Wager Her Heart, To Mend a Dream / Digital original - eBook.